All dogs are special, but Beagles play an important role as working dogs, especially in the areas of airport security and customs/immigration. In these roles, Beagles are trained to use their keen noses to identify agricultural items and substances, such as drugs, that are forbidden to be brought into the U.S. Estimates are difficult to come by, but there may be as many as 1,250 dogs being used for customs and border patrol at U.S. airports and borders. More difficult to obtain are the estimates for the costs associated with training a Beagle for these important functions. Some estimate the costs to be $16,000 to $20,000 per dog. Therefore, it is imperative that these dogs are physically fit to perform their duties once trained. In the breeding of Beagles, their top-notch sniffing abilities, desire to learn, and loyalty to humans were desired traits that were retained during their evolution. 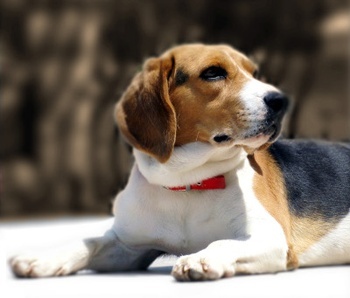 However, along with these desired traits, Beagles have a particularly high burden of genetic diseases. Many of these diseases to not manifest until the dog is mature and will impair the animal and prevent it from performing its work. Diseases such as degenerative myelopathy, Musladin-Lueke syndrome, Neonatal cerebellar cortical degeneration, Primary open angle glaucoma among others, should be screened for prior to training a dog to identify affected dogs because of the costs of training and future work expectations. Genetic testing is available for many of the diseases that affect Beagles and screening should be considered prior to breeding to improve breeding lines and reduce the chance of affected puppies.